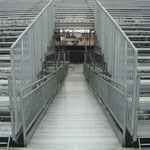 Ramp Access and Platforms for a High School Bleacher. 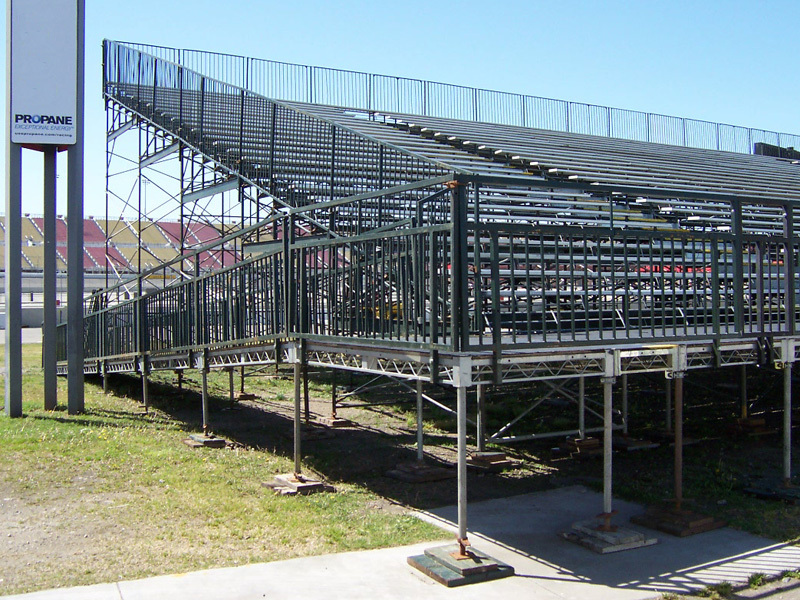 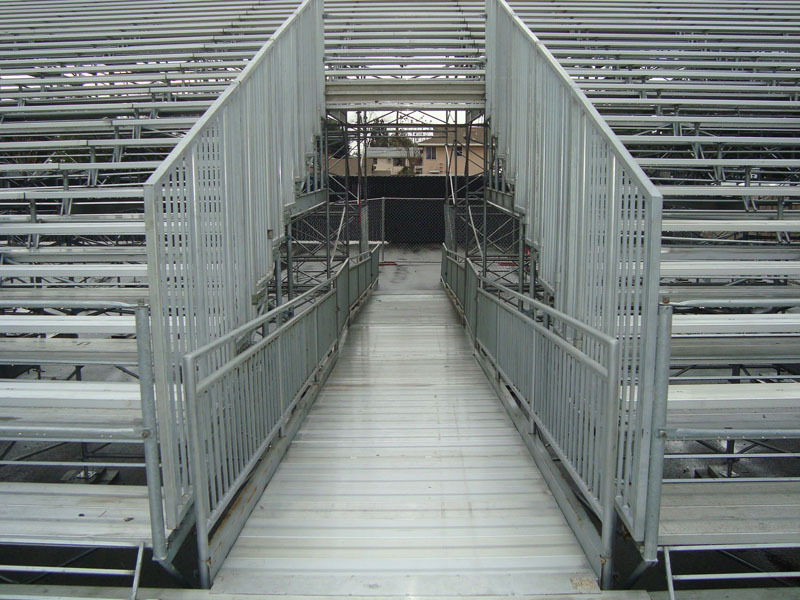 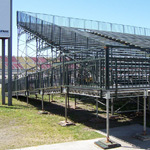 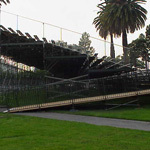 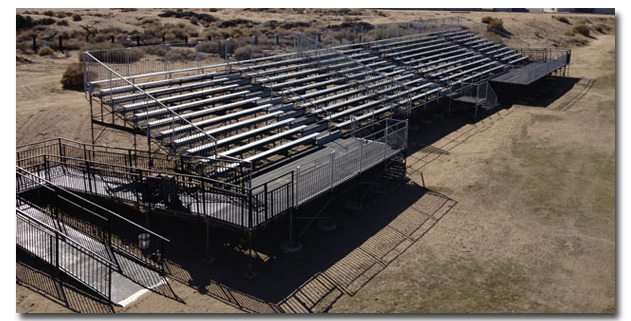 Mike Brown Grandstands' Temporary Ramps can be built to be fully ADA compliant, when so specified. 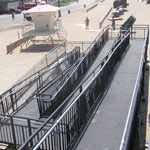 Although custom sizes and slopes are available, the "typical" ramp we provide will be 4'-0" wide and have a 1:12 pitch. 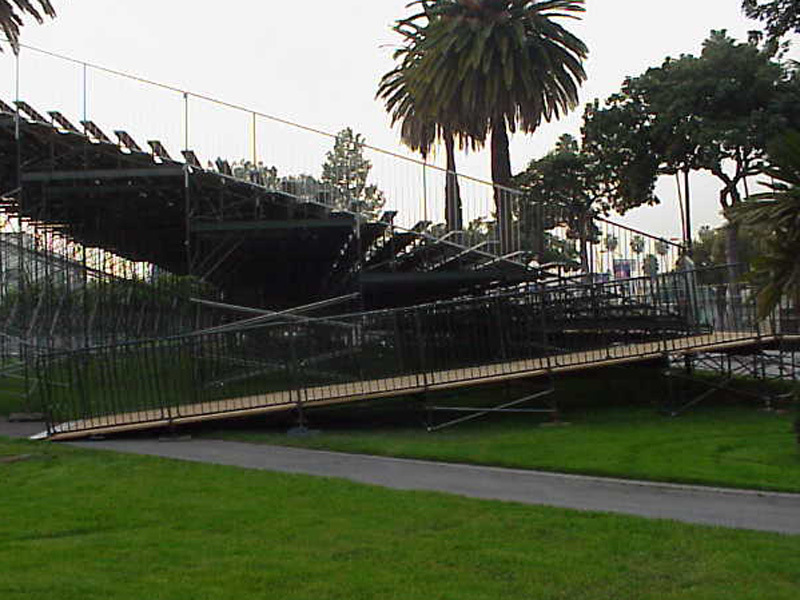 Ramp length is variable and code requires a landing for every 30" in rise. 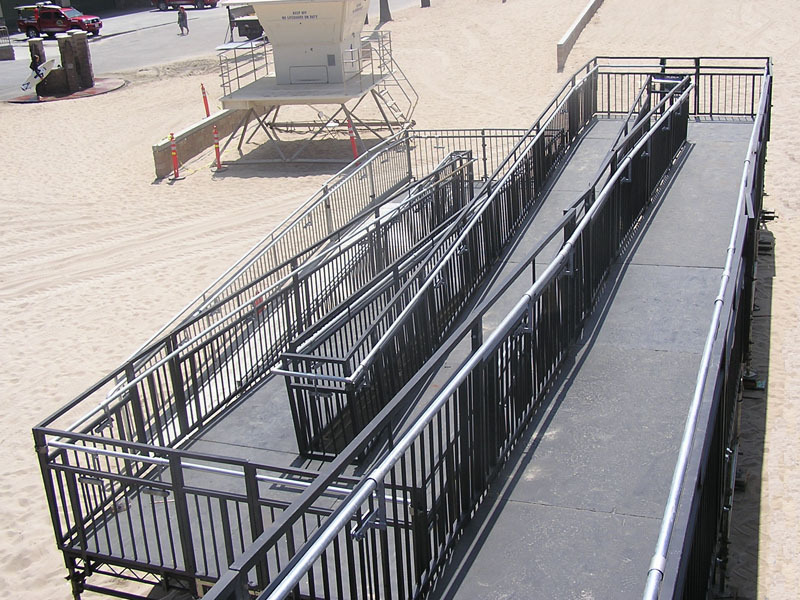 Guardrail and graspable handrail are available.